In a word, a private cruise or luxury yacht charter in Montenegro is stunning. Known as the "pearl of the Mediterranean", this area features breathtaking waterfalls, lush mountains, still lakes and dramatic rivers. It is also gaining traction as the elite destination for superyachts and superyacht charters. While the on-land hotels and amenities are rapidly in development to luxurious standards, Montenegro itself is the real draw: the charming island of Sveti Stefan, beautiful coastal towns, miles of beaches, secluded coves and, of course, the still-as-glass Bay of Kotor. 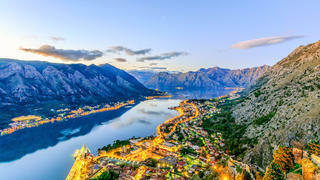 Situated between Corfu and Venice, with Croatia as a neighbour, Montenegro is sublimely positioned in some of the best cruising grounds in the world. It is no surprise that it is gaining a reputation for becoming the next Monaco for yacht charters. Day 1: Porto Montenegro to Budva via Bigova Board your boat at superyacht heaven of Porto Montenegro and head out of the Bay of Kotor for a lunchtime stop at Bigova Bay. Anchor off and take a tender trip to the jetty and a dip in the clearest, cleanest waters you can find anywhere in Europe. There are a number of places to enjoy fine dining away from your yacht in Montenegro. Lunch on the freshest fish, lobster or mussels prepared in a number of different traditional ways at Konoba Grispolis. Bigova has a tradition of fishing and the owners of this restaurant have been fishermen for generations. Take a walk along the charming waterfront and then set sail for your night stop in Budva, passing Jaz Beach, site of Rolling Stones and Madonna concerts. Enjoy a cocktail on board while you take in the atmosphere of this vibrant town, take your pick from a number of great traditional restaurants — Demižana, Dona Kod Nikole or Konoba Langust (a short taxi ride away in Przno) to name but three — and then follow the sounds of music and party the night away. 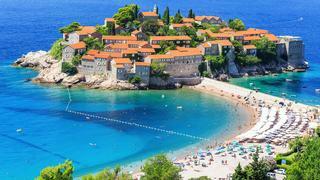 In a word, a private cruise or luxury yacht charter in Montenegro is stunning. Known as the "pearl of the Mediterranean", this area features breathtaking waterfalls, lush mountains, still lakes and dramatic rivers. It is also gaining traction as the elite destination for superyachts and superyacht charters. While the on-land hotels and amenities are rapidly in development to luxurious standards, Montenegro itself is the real draw: the charming island of Sveti Stefan, beautiful coastal towns, miles of beaches, secluded coves and, of course, the still-as-glass Bay of Kotor. Situated between Corfu and Venice, with Croatia as a neighbour, Montenegro is sublimely positioned in some of the best cruising grounds in the world. It is no surprise that it is gaining a reputation for becoming the next Monaco for yacht charters. Board your boat at superyacht heaven of Porto Montenegro and head out of the Bay of Kotor for a lunchtime stop at Bigova Bay. Anchor off and take a tender trip to the jetty and a dip in the clearest, cleanest waters you can find anywhere in Europe. There are a number of places to enjoy fine dining away from your yacht in Montenegro. Lunch on the freshest fish, lobster or mussels prepared in a number of different traditional ways at Konoba Grispolis. Bigova has a tradition of fishing and the owners of this restaurant have been fishermen for generations. Take a walk along the charming waterfront and then set sail for your night stop in Budva, passing Jaz Beach, site of Rolling Stones and Madonna concerts. Enjoy a cocktail on board while you take in the atmosphere of this vibrant town, take your pick from a number of great traditional restaurants — Demižana, Dona Kod Nikole or Konoba Langust (a short taxi ride away in Przno) to name but three — and then follow the sounds of music and party the night away. While the adventurous might want to steam to the charming Ulcinj close to the Albanian border, and to the sandy island of Ada Bojana, even closer, we suggest you watch the world go by over coffee and pastries at one of Budva’s many delightful cafés and bars, such as Caffé Greco and Casper. Then head to Sveti Stefan for a refreshing swim and sunbathe on its sandy beaches, before taking an aperitif at Aman Resort’s Villa Milocer. Enjoy lunch on board as you make for Kotor and linger over dessert as you explore the Bay of Kotor, but arrive early so you have plenty of time to wander around the fortifications, streets and alleys of Kotor. Savour Kotor’s ambience and cuisine with a hearty traditional meal in the cosy setting of Scala Santa in the old town, accompanied by live folk music. For the best view in town, take a nightcap at Hotel Cattaro’s Citadella Bar relaxing on comfortable sofas on an open-air terrace on top of Kotor’s defensive walls. While the adventurous might want to steam to the charming Ulcinj close to the Albanian border, and to the sandy island of Ada Bojana, even closer, we suggest you watch the world go by over coffee and pastries at one of Budva’s many delightful cafés and bars, such as Caffé Greco and Casper. Then head to Sveti Stefan for a refreshing swim and sunbathe on its sandy beaches, before taking an aperitif at Aman Resort’s Villa Milocer. Enjoy lunch on board as you make for Kotor and linger over dessert as you explore the Bay of Kotor, but arrive early so you have plenty of time to wander around the fortifications, streets and alleys of Kotor. Savour Kotor’s ambience and cuisine with a hearty traditional meal in the cosy setting of Scala Santa in the old town, accompanied by live folk music. For the best view in town, take a nightcap at Hotel Cattaro’s Citadella Bar relaxing on comfortable sofas on an open-air terrace on top of Kotor’s defensive walls. 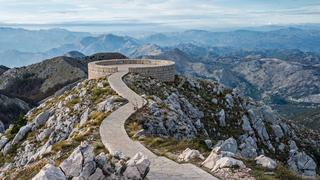 Work up an appetite for lunch by making an early start and taking a trip inland to the former royal capital of Cetinje and the Lovcen National Park. Drive along the old serpentine road to Cetinje from Kotor and be prepared to be dazzled by the views and charmed by the town. Then take another breathtaking drive to Ivanova Korita and follow the road to Jezerski Vrh where you will walk up nearly 500 steps to the magnificent mausoleum of Petar Petrovi-Njegoš, high on the narrow peak of Mount Lovcen. This fitting tribute to Montenegro’s most influential statesman was designed by the internationally famous Croatian sculptor and architect, Ivan Meštrovi. Return to the Bay of Kotor and take a late lunch at Conte Nautilus in Perast, absorbing the richness of its history in heroic defence of its strategic position. Don’t miss a glimpse of Our Lady of the Rocks and take time to learn the story that goes with it. Happy but exhausted, call for your tender and rejoin your yacht to head back to Porto Montenegro, where you can swap tales over a drink in a waterfront bar. Work up an appetite for lunch by making an early start and taking a trip inland to the former royal capital of Cetinje and the Lovcen National Park. Drive along the old serpentine road to Cetinje from Kotor and be prepared to be dazzled by the views and charmed by the town. Then take another breathtaking drive to Ivanova Korita and follow the road to Jezerski Vrh where you will walk up nearly 500 steps to the magnificent mausoleum of Petar Petrovi-Njegoš, high on the narrow peak of Mount Lovcen. This fitting tribute to Montenegro’s most influential statesman was designed by the internationally famous Croatian sculptor and architect, Ivan Meštrovi. Return to the Bay of Kotor and take a late lunch at Conte Nautilus in Perast, absorbing the richness of its history in heroic defence of its strategic position. Don’t miss a glimpse of Our Lady of the Rocks and take time to learn the story that goes with it. Happy but exhausted, call for your tender and rejoin your yacht to head back to Porto Montenegro, where you can swap tales over a drink in a waterfront bar.